It's been years since I flew a really loud kite. I only own a few noisemakers. Today, I flew the recently acquired NSR in 10-15 mph winds. 1) I was sweating in cold weather in 20 minutes. 2) Got yanked forward several times when the kite hit the power zone. 3) I may have the loudest kite on the planet. 4) Looking forward to "Bring The Noise" at KP 16. Don’t forget that the noise of the North Shore is patented! NSR’s are the Harleys of the kite world. was never a fan of loud kites. If it was a mediocre kite, then the noise made it intolerable. So, an NSR with a tight trailing edge would not fly like an NSR (a BAD thing). A BLK (Big Loud Kite, yes that was a real kite) was a dumb idea. When I used to live in the city and flew at the temple of Ray Bethell, there was a guy who came down once in a while who never said let's fly some kites....he would yell LET'S MAKE SOME NOISE!! You should have seen the look on Ray's face... We would then hear a multitude of different pitched ripper fart sounds for an hour or so and then he would leave. Only once have I flown a pretty loud dual liner as I was able to try a friends California Wasp for a bit. It was fun as it was/is a pretty amazing flying kite and because of this it was cool to "play" the kite sounds. Otherwise not a fan of noisy kites nor having my arms/wrists pulled from their sockets....lol. 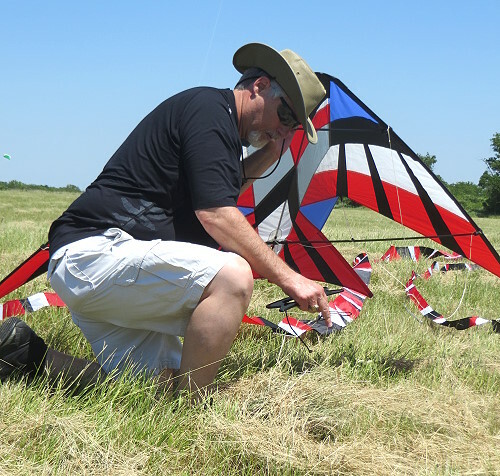 Right after I purchased my NSR, I flew it at a small kite festival in Waco Texas. Winds were unusually high that day, gusts of 20-25mph. That kite drug me all over the field but what I really enjoyed was the noise. It sounded like a 747 looking to land. Everyone was looking at that NSR in flight. I was proud!